The easy answer is it is the election time and He and his followers like to have an enemy at this time. There is no need to look for a rationale behind this renewed interest in criminalizing the Gezi resistance. It is a straw man. It is an easy target after more than five years. Many other enemy candidates are already used and it may be a time to recycle Gezi. I could have access to some data science people who prepared reports for the government in the aftermath of Gezi resistance. The government looked hard to find out the culprits, ringleaders. But there were none. If it could only find some, the Gezi trials would immediately start. So there is no need to prove innocence. The judiciary is not independent, it will play to the hands of power games. In yet another explanation, whether it is elections or not, He and his followers will always look at ways to go after Gezi. The Occupy Gezi is the only moment where He was defeated. We know how revengeful He is. There is no way He will forget this. In fact, there are also some people around who are more than eager to remind him this frequently…. 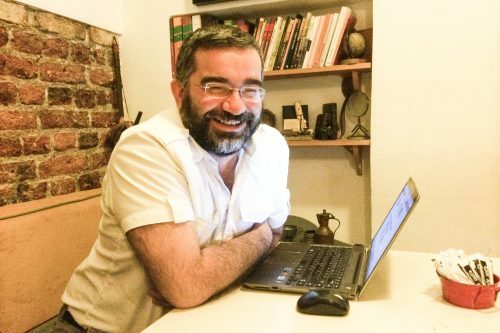 A Turkish court has ruled for the arrest of actor Mehmet Ali Alabora, who is accused by prosecutors of plotting to overthrow the government during the Gezi Park protests in 2013. Can Pürüzsüz Gezi Fezlekesiyle ilgili bir derleme yaptı.